Looking for Domino’s coupons? 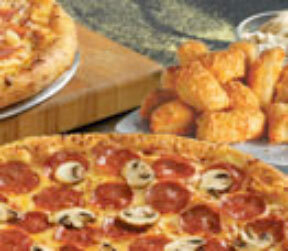 Access Domino’s pizza coupons deals and specials here. Deals on our famous pizza, chicken wings, Chocolate Lava Crunch Cake, cheesy bread and Coke products. Including our Deluxe, Pepperoni Feast, Veggie, Hawaiian Feast & Brooklyn Style Pizza.